Bathrooms consistently rank among the most important (recently ranked number 4 in a recent NAR (National Association of Realtors survey) and most judged rooms by home buyers. 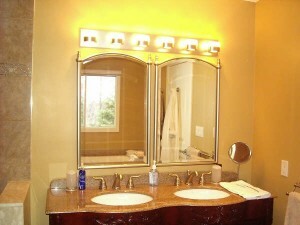 If buyers put so much emphasis on bathrooms, shouldn’t you? 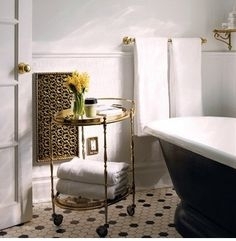 Here are some great ideas that can help give your bathrooms a makeover even if you aren’t planning to sell. 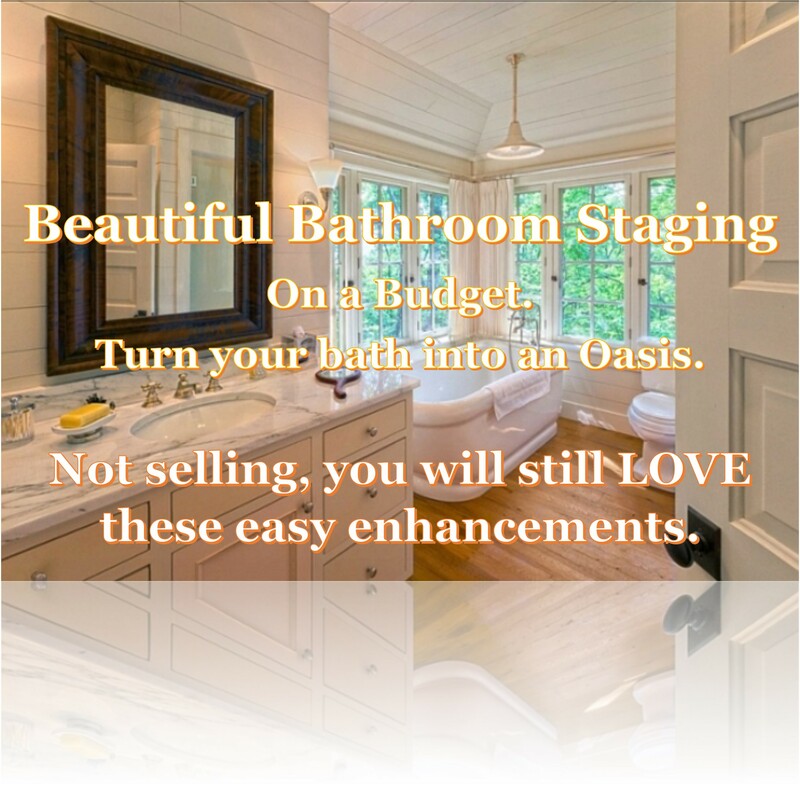 They will enhance the appeal of every bathroom and won’t break the bank. 1. Clean, Shine, Sparkle And De-clutter Top To Bottom. Remember to remove toiletries and bathroom supplies. This includes soaps, toothbrushes etc. Buyers do not want to see your personal bath products. 2. Home Buyers are going to peek in your closets, so WOW them there too. 3. Make Them Feel Like They Are On Vacation Or At A Day Spa. 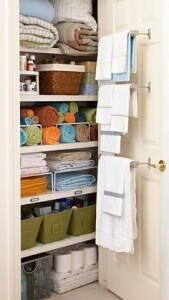 Add a rolling cart with lotions, creams, flowers and plush folded towels. Make it feel like an oasis. 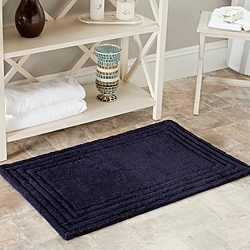 Replace or add a luxurious deep soft bath rug the softer and more luxurious it feels the better. For a great added bonus buy a high end Kitchen gel mat and place the new bath rug over it. Make sure the gel mat and bath rug are similar in size. Or English Ivy For Color And Splash. 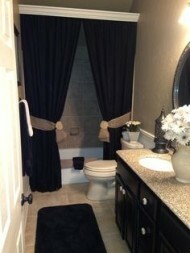 Take the bathroom to another level with a tied back shower curtain and valance. 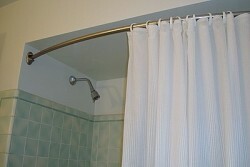 Bowed curtain rods also make a dramatic and impressive statement. 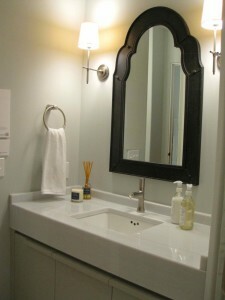 Replace the ordinary bathroom mirror with a framed one. Or make your own in under an hour for a fraction of the cost. Ask me how. If Your Lighting Fixtures are dated, rusted or just don’t fit with your wow bathroom now, replace them with something more updated. Whether or not you need to replace the fixtures, make sure they have the maximum wattage bulbs the fixtures can handle. For more helpful tips check back regularly and subscribe to our monthly Email Newsletter. In addition to the helpful tips you will be eligible for subscriber only benefits. What’s your house worth? Find out Free.